Padang DX Contest 2016 is formerly a second large national HF contest held and organized by ORARI Local Padang – West Sumatera, started since 2007 with Padang Contest (contest exchange RS+ orari Local). Several years inactive then start again with Padang Contest on 2014 (contest exchange RS+ orari local). A year after, Padang SSB Contest 2015 was launching with full Web Support and online Certificate by OM Robby Sandes YD4IRS. They were using Contest exchange RS+ IOTA Ref. It was an excellent teamwork and achievement especially OM Karsono Suyanto (Endut) YB0NDT was fully supporting this event. On this year, Padang DX Contest 2016 come up with the unique concept for the participant logs submitted by online and using N1MM for the contest log instead Cabrillo text applied on the emails. 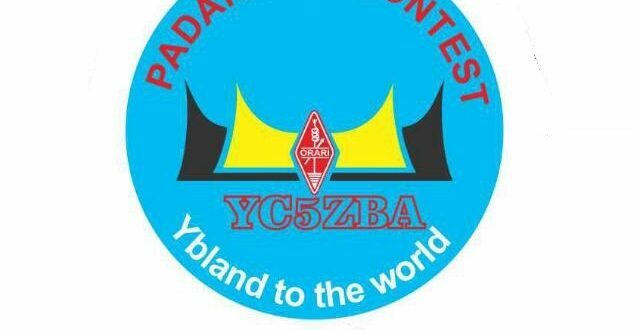 Other National HF contest which also using the same way is Gedebage Contest by ORARI Region West Java. But Gedebage Contest was still receiving manual logsheets either the cabrillo log. The winner result finally viewed on their website and each participants earned a fascinating contest certificate. Our beloved best friend in ORARI Padang, OM Vector Aliendry – YB5BOY, who were also a member of YB Land DX Club, talked and discussed with OM Karsono ‘Endut’ Suyanto YB0NDT, Robby Sandes YD4IRS and Irsan YC0OST (three names mentioned after who were in charge in YBDXC HQ). OM Endut had a brilliant idea to make over the Padang HF Contest into an International DX Contest. 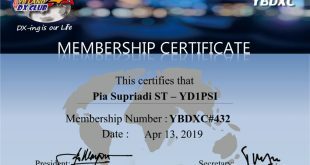 It is not a first International Contest scale held by Indonesian amateur radio, because stated on the history flash back to the 1990, ORARI Region Central Java was the first local Indonesian Amateur Radio organizer whom were held the All Indonesian DX Contest. 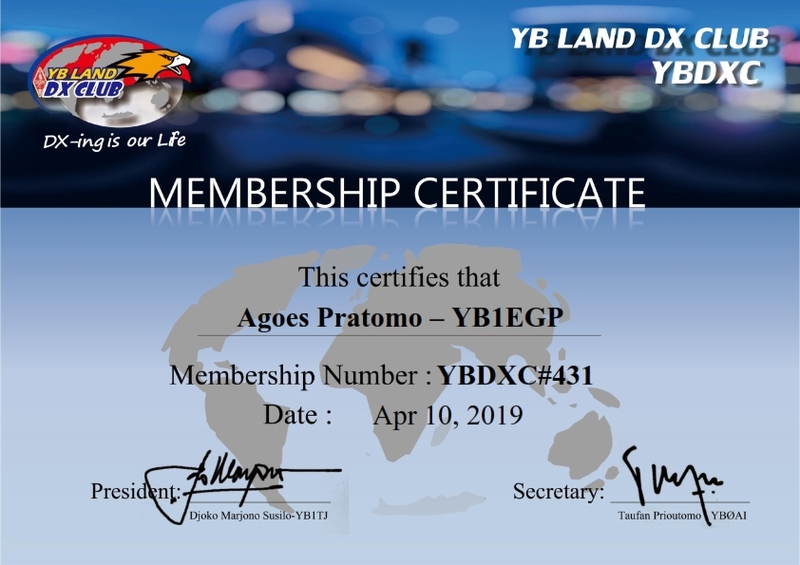 Finally the good news happened when OM Vector YB5BOY and OM Endut YB0NDT declared to announce that ORARI Local Padang is ready to organize the Padang DX Contest 2016 and it is a first local DX contest supported by YB Land DX Club. Several duties applied to each person, OM Endut had tried many times to create UDC format code for submitted into N1MM, completing with some finishing web layout by OM Robby Sandes YD4IRS and few brief explanation in English translation done by OM Irsan YC0OST. After all, they are preparing very quick job to presenting this prestigious event to the World. We also realized it is not just only about the contest, we also try to socialize and teach to other amateur radio friends in my country about band plan allocation, online logging contest, DX Cluster, operating procedure, weather DX propagation report etc. It is our main goal instead to organize a DX Contest, hi hi. Hope and full Pray to support the Padang DX Contest 2016, with a spirit from YBLand to the World.